When you adopt a health-conscious lifestyle, that encompasses the type of foods you eat both for meals and snacks. The same is true if you are following a weight management plan or a heart healthy diet. Spicy snacks have multiple health benefits that make them an excellent part of many dietary plans. 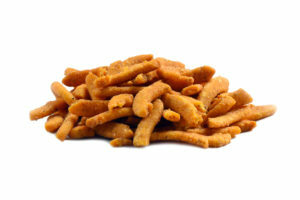 Of course, the simple fact that spicy snacks are a fantastic way to wake up your taste buds and add a jolt of deliciousness to your day is good enough reason to keep a supply on hand at all times. Spicy foods increase satiety, a feeling of fullness, which is beneficial to someone who is trying to eat less and lose weight. Capsaicin, a compound found in chilies is often an ingredient in spicy foods and snacks. Capsaicin help speed up your metabolism which increases the calories your burn. That’s another reason hot and spicy snacks are considered to be a beneficial part of a weight loss diet. Capsaicin also help reduce LDL (bad cholesterol) and helps fight inflammation. Capsaicin, along with some other spices such as turmeric, curry powder and black pepper are credited with helping prevent or slowing the progression of cancer. If you’re feeling down, you might want to reach for a spicy snack. 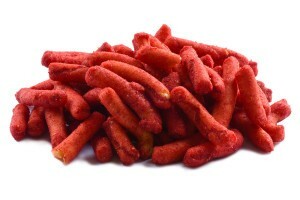 Spicy hot snacks can boost your mood. They can ease feelings of sadness and depression. When you’re having an especially stressful day, a spicy snack might be just the thing to ease that stress. Eating spicy foods can be beneficial to your cardiovascular health. Spicy foods can also be beneficial to sinus health. When you’re feeling stuffy from nasal congestion, spicy snacks may relieve some of that uncomfortable feeling. While spicy snacks are a good way to warm up on a cold day, they’re also an ideal summertime snack. 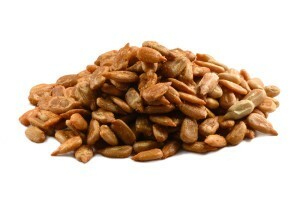 Spicy sunflower seeds or crushed spicy peanuts can be added to your favorite salad, salsa or dip. Eating something hot and spicy can cool you down on a hot day. Studies show that eating spicy foods can provide temporary relief from pain. When you get that undeniable craving for spicy snacks, hot and spicy nuts should be one of the first snacks you reach for. A handful of nuts that have been sprinkled with seasonings that will wake up your taste buds can be a great pick-me-up snack whenever you’re feeling a little sluggish at work. Keep some hot snacks on hand for late night studying. Hot snacks are invigorating and they may even help stimulate your thought processes. A sprinkling of chili powder can transform an all-time favorite treat such as peanuts into a trendy, intensely flavorful snack. 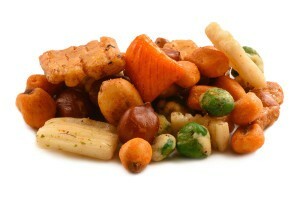 It’s easy to get into a rut with snack choices once you find something you really like. While nuts are a healthy snack choice, eating the same type of nut, prepared in the same way each day could become boring. 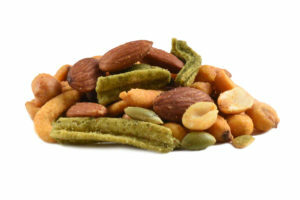 You can add nuts to your list of hot healthy snacks by mixing them in with your favorite hot and spicy homemade trail mix or snack mix. 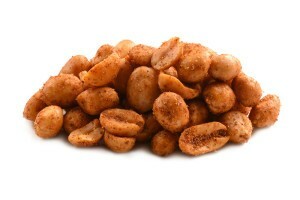 Nuts mixed with spicy sunflower seeds and some Cajun corn sticks would be an energizing, palatably exciting snack. Get creative with your nutty snack ideas. There’s no rule that says healthy snacks must be mundane. 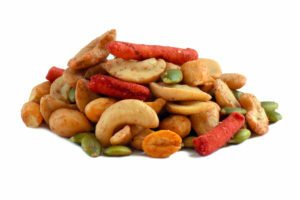 If nuts with a burst of heat and spice are exciting, just imagine how delighted your taste buds will be when you surprise them with hot snacks in the form of spicy trail mixes. Peanuts, cashews, sunflower seeds, pumpkin seeds and various other trail mix ingredients are taken to a new dimension when tossed with spices such as chili powder, paprika and a variety of other species. 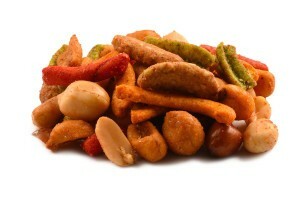 You can diversify your healthy spicy snacks by keeping a supply of various flavored trail mixes on hand. Spicy Sriracha trail mix, spicy trail mix and crazy Cajun trail mix have a kick to them that sets them apart from ordinary trail mixes. 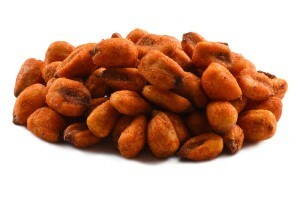 If you want to satisfy your desire for a crunchy snack but prefer an alternative to nuts, spicy corn nuts are an ideal option. Don’t be deceived by their name. 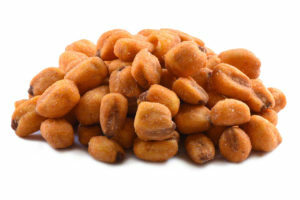 Corn nuts are not actually nuts. They are corn kernels that have been roasted. The spicy version has been prepared using sweet paprika, spicy paprika, garlic, onion and other enticingly flavorful ingredients. Spicy sunflower seeds with chili powder and other spices are great eaten by the handfuls. You can sprinkle them over a salad to perk up the flavor and elevate the heat level. If you want a simple snack that is both crunchy and spicy, you may find hot Churritos seasoned with cayenne pepper, hot sauce, paprika and an assortment of other spices and herbs to be the perfect snack for you.